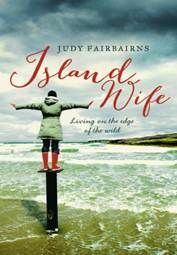 Island Wife tells the story of Judy, who, at 19, met her Wild Pioneer. He whisked her off into an adventure, a marriage of forty years, and a life on a remote Hebridean island. Along the way she bears five children, learns how to run a rocky hill farm, a hotel, a recording studio and the first whale watching business in the UK - all the while inventively making fraying ends meet. When her children start to leave home, things fall apart and there is sadness and joy in how she puts things back together. Judy tells her story in a clear and unique voice, in turns funny, unforgettable and intensely moving. Part of our Scottish Island Biography selection for the summer.